Almost all of the furniture must respond to criteria of beauty and practicality, but among these the closet must also marry functionality and aesthetics, being roomy and well organised inside, yet offer a prestigious design outside. 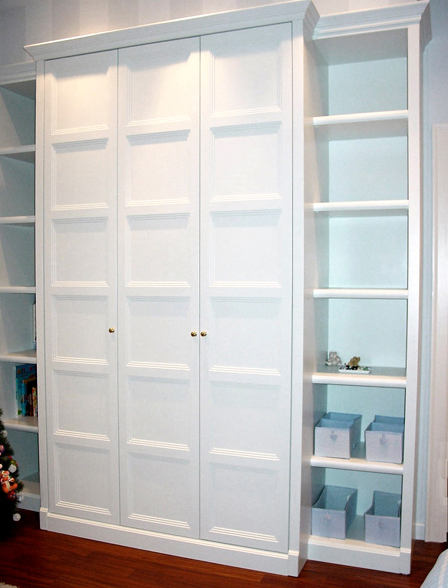 You can rely on Viem Furnishing also for your made to measure closet and wardrobe: whether traditional or modern, whichever best suits your preferences, we know how to design and create excellent quality furniture. 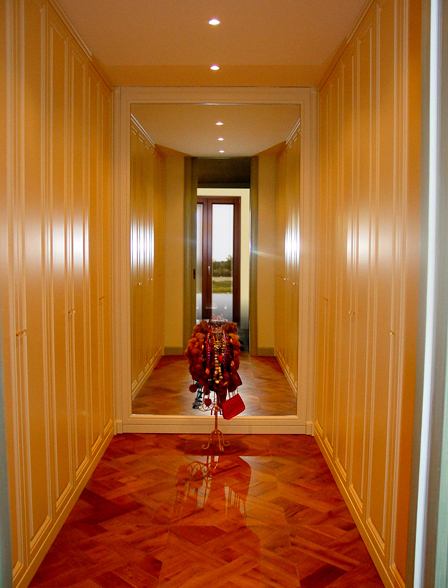 Wall closet with lacquered edged doors. Daily shelves, fireplace with a small bench and lacquered pilasters. 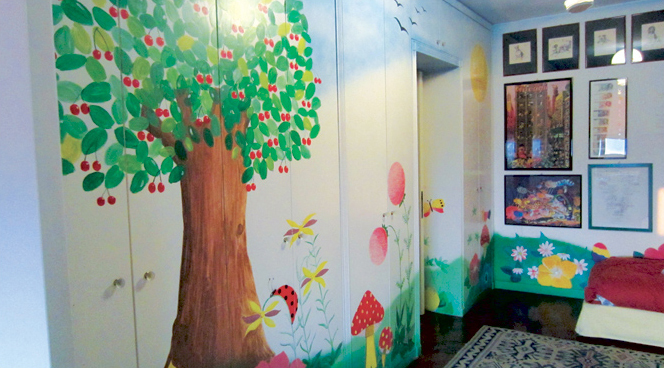 Closet with edged doors decorated with prints. Large grooved pilasters with capitals. Closet with bridge for the door space. 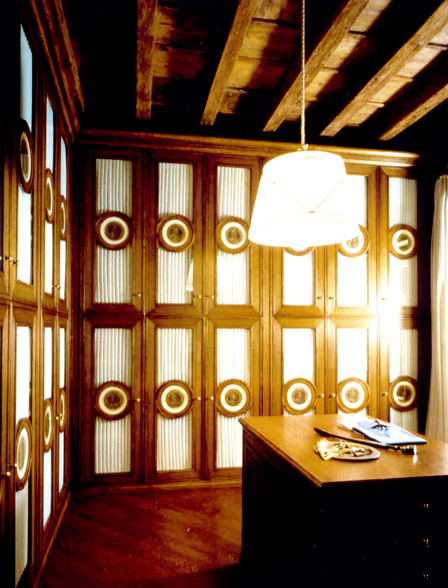 The smooth lacquered doors were later painted by hand with floral motifs that flow onto the walls. 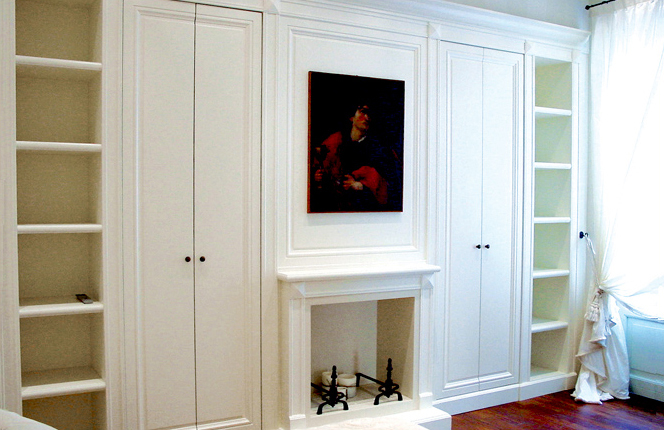 Closet with coffered doors and lateral, less deep open shelves. Smooth pilasters and upper cornice. Niche closet. Edged doors with external string hinges. 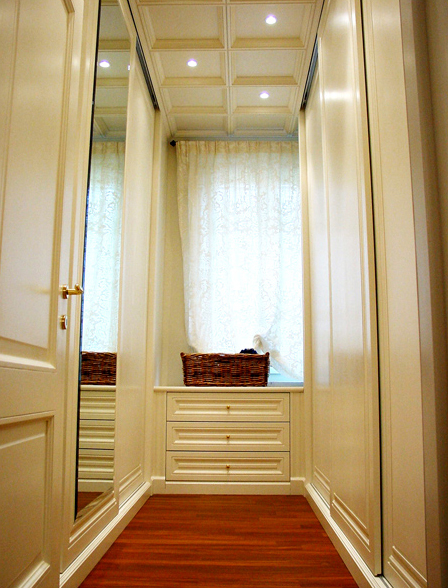 Closet with sliding ivory lacquered doors and central mirror. 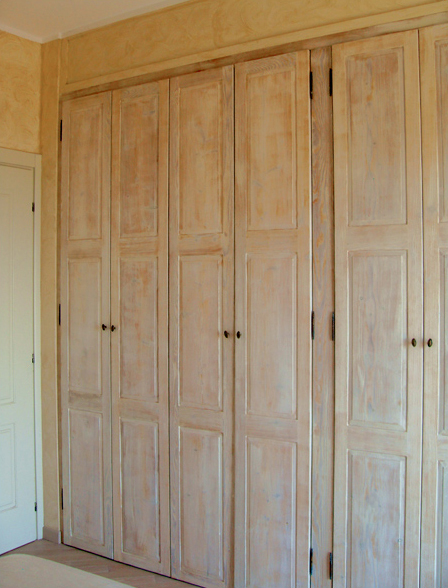 Closets with shiny chestnut edged doors, double depth. Radiator cover under the window. 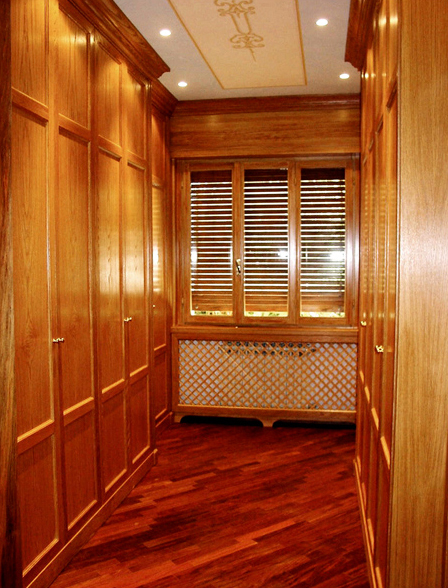 Closets with glass doors, central rosette with antique print insertion and pleated fabric. Closets in light oak with edged door. 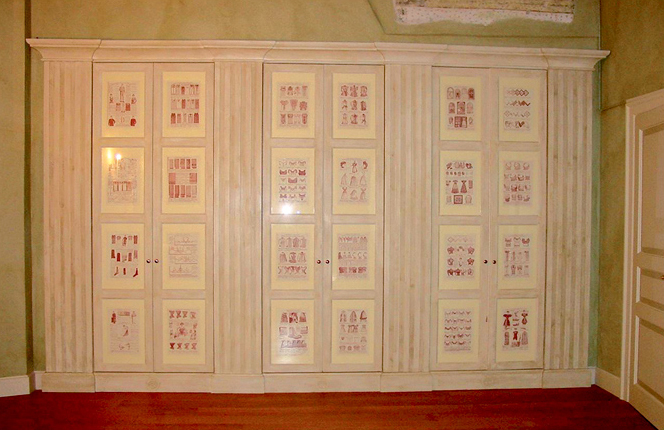 Internal drawers. Large background frame with ground mirror.